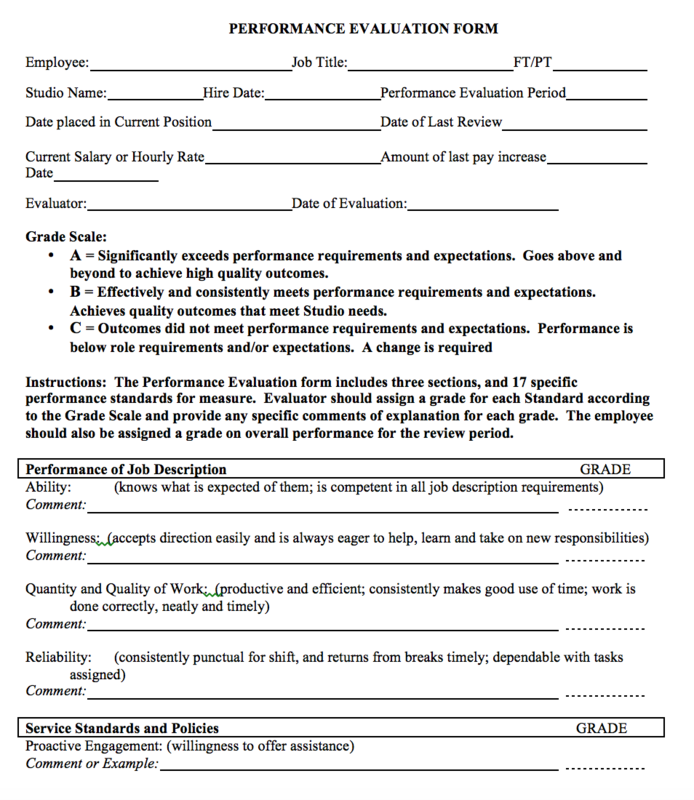 Providing the platform for your team’s success starts with evaluating what’s working and what’s not. Is he/she carrying out his/her duties? These can include identifying where improvement can be made, and also protecting you from unfounded claims of favoritism or discrimination. 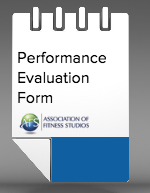 Download and customize our Performance Evaluation Form to your studio's needs!